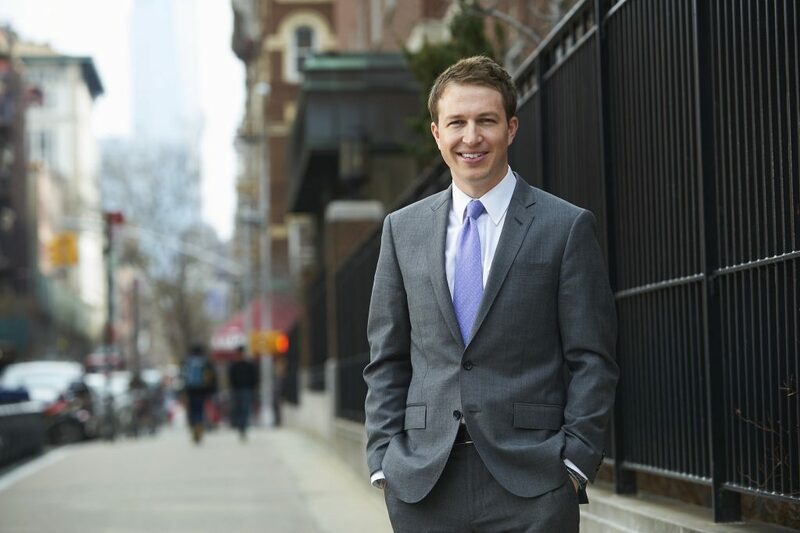 Nick Melvoin was elected to the Los Angeles Unified school board in May. As a public service, EdSource is publishing an edited transcript of interviews we conducted with both of them about their priorities. Despite charter school advocates spending millions of dollars on their behalf through independent expenditure committees, both candidates say they will not be pushing for a significant expansion of charter schools in the district. Below is our interview with Nick Melvoin, who previously taught at L.A. Unified’s Markham Middle School and Loyola Marymount University, and was director of policy at Great Public Schools in Los Angeles. The interview was conducted on May 18, before the current board voted to extend Superintendent Michelle King’s contract to 2020. EdSource: Can people expect to see a major increase in charter schools in LAUSD as a result of this new board majority? Melvoin: I think people can expect to see an amplification of what works in public education and a replication. I was an LAUSD teacher, I obviously was supported by charter supporters, but we were very clear with our messaging from the start that this wasn’t about the proliferation of charters. It was not about an artificial number of new charters. It was about looking at what works within the district and replicating that. I don’t think districts like LAUSD have learned lessons from the charter movement the way that it was initially intended. I’ll ask charter principals, “Has the district come and asked what’s working and how to replicate it?” They laugh, as if that’s a crazy question, given the political climate. I’d like to see an increase in schools that are serving kids. I’m much less interested in whether that is a district school or a charter or a magnet school. I’d like to see us cross-pollinate, elevate the work of educators and have LAUSD lead the nation in terms of how to navigate this new public school ecosystem. EdSource: One of the things that was in the background in your election campaign was the so-called Broad Plan that called for 50 percent expansion of enrollments in charter schools over the next eight years. Do you see anything like that happening in the district? Melvoin: I’d like to think not. We have 130,000 kids in charter schools in Los Angeles, and 40,000 on charter waitlists. That’s far more than anywhere in the country, including New York, which is a far larger district. That to me has always represented an indictment of the district in not meeting the needs of its own parents. The reason I ran for the board instead of running a charter organization was to learn lessons from our charter partners, to bring that learning to the district, and to mitigate that waitlist not by building new seats, but by improving our own schools. That to me is the ideal outcome here. The reason you see a lot of the philanthropists investing in charter schools after decades of trying to improve LAUSD through initiatives like LEARN and partnerships is just because they thought it was a more efficient route to improve outcomes for kids. I’d actually like to show them and then show the country that partnerships with district schools can actually do a lot, and we don’t have to continue to build new schools. We just have to improve the ones we already operate. EdSource: What was this election all about then, if it wasn’t about expansion of charter schools? Was it about challenging the clout of teachers’ unions? Melvoin: It was about expansion of best practices. This is a district where we have 27 percent of kids proficient in math, where only 47 percent of kids who graduate are eligible for state universities, where we have a $13.5 billion unfunded pension liability, teacher shortages, and five different superintendents in eight or nine years. I think our victory was an indictment of the status quo. To me it was never about the air war between charters. Despite the contours of the race and the media and the outside spending, this was about hitting reset and actually getting past some of these adult special-interest fights and finally learning lessons from high performing schools, replicating those practices, addressing some of the district’s unfunded liabilities, addressing some of the challenges when it comes to student achievement. That’s what motivated me to run, to improve outcomes for kids and do things differently in a way that I don’t think L.A. has done, but a lot of other cities have done, and that’s why I think there’s a lot of opportunity here. EdSource: One of the concerns that people have had is that if charters do continue to expand, and there’s no reason to think that they won’t, then this would exacerbate some of the district’s unfunded liabilities or deficits, given that you’d have more kids leaving the district and also because it would exacerbate the declining enrollment issue that the district is facing. Do you share those concerns? Melvoin: Two points: One is that the charter authorizing law is a state law, and the board can only approve or deny charters based on some state criteria. So this idea that now it’s going to be a kind of free-for-all with charters (in the district) is really unfounded. And I actually think that having the support of the charter community can help us mitigate some unchecked growth by having a collaborative working relationship with the district, as opposed to the hostile one of the last few years. Two, LAUSD has lost 100,000 students in a decade because of charter growth, but also because of demographic trend, the cost of living, and increasing overhead costs. And you haven’t seen any concomitant reduction in costs. So we need to take an honest look at that and say if we’re losing students, and we have these under-enrolled schools, why do we still have all this overhead? And I think maybe there’s opportunities to partner with charters. Ultimately if we improve our own district schools, we will mitigate the need for families to feel like they have to leave LAUSD and that will help stem the tide of the enrollment loss. There’s a lot of opportunities for dual-enrollment program for magnets, and I’d like to see in-district innovation by working with charters and learning what works, again, as opposed to abandoning the school system. EdSource: To what extent are you concerned about the amount of money that went into your campaign? Melvoin: I am very concerned. Campaign finance laws need to be reformed. The amount of outside money that we allow to be spent in races is absurd. That comes from the Supreme Court. I mean there’s nothing we can do really locally besides trying to push for more public funding of elections and matching funds. One of the things I would like to do initially is get the City of Los Angeles to help LAUSD move to a matching fund system the way that the City Council and mayoral elections operate. EdSource: Tell me if I’m misinterpreting what you are saying, but it seems like you’re trying to turn down the heat a little bit and you’re not coming out of the gate saying, “OK, we’re going to have an increase in charter schools in the district.” But the reality is that most of your funding came from the charter side of the equation. Melvoin: I think the reason that these philanthropists are supporting charters is because they see it as a more rapid avenue to improve outcomes for students. But I am optimistic that with this new leadership at LAUSD we can prove that we’re able to do that within the district, and so to me the victory over the next few years will be not charter growth, but across-the-board improvement. And if we’re able to do that in L.A. in a way that very few cities around the country have been able to do, to me that’s what’s exciting. And so, yes, I’ve reached out to the union president, and I’ve reached out to all the bargaining units. This was not in any way a campaign that was run against the union and for charters. And I’m excited to prove skeptics wrong over the next few years as we really try to improve outcomes for all kids and all schools. EdSource: How do you feel Michelle King has been doing in her first 18 months on the job? Melvoin: I think the superintendent is incredibly capable. She knows this district very well. I think partially because of failures on the board side she hasn’t been given the opportunity to really do some of the work, so I look forward to sitting down with her soon and coming to an understanding about whose role is what. But we’ve had five superintendents in the last eight or nine years, and I’m definitely not coming in looking for change in that regard. But I would like to get some of the things we campaigned on – transparency, more local control, learning from charter schools, I’d like to see more of that on her agenda.